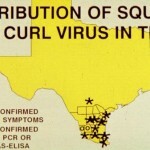 This virus is transmitted by whiteflies and is a problem only in south Texas (Image 1). 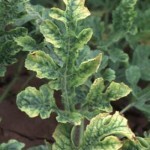 Symptoms of the disease are crumpled leaves with yellowed, mottled areas Image 2). 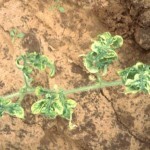 Leaves have shortened petioles that cluster around the vines (Image 3). 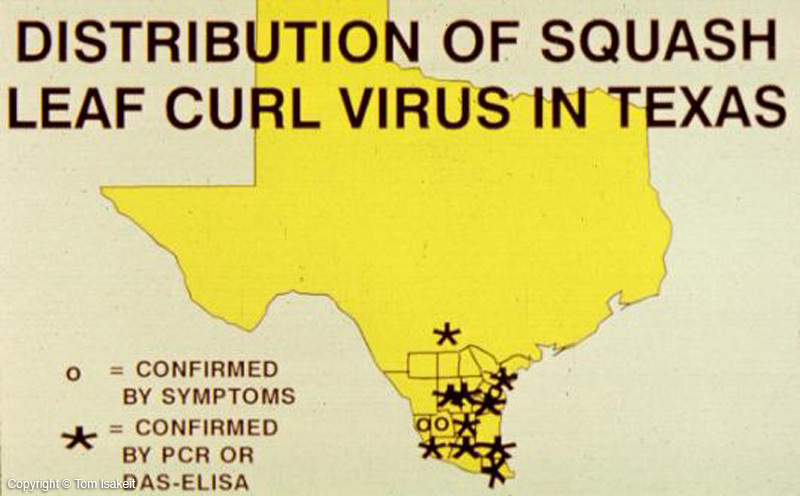 Squash is also susceptible to this virus. 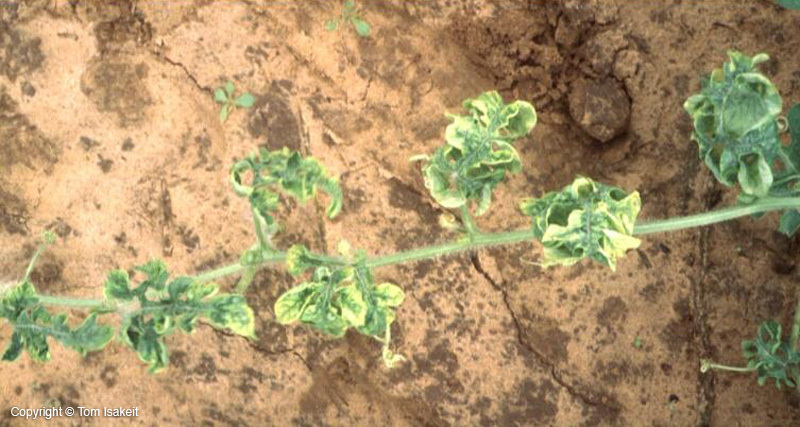 Severe yield losses are associated with infection of young seedlings, usually when whitefly populations are high. 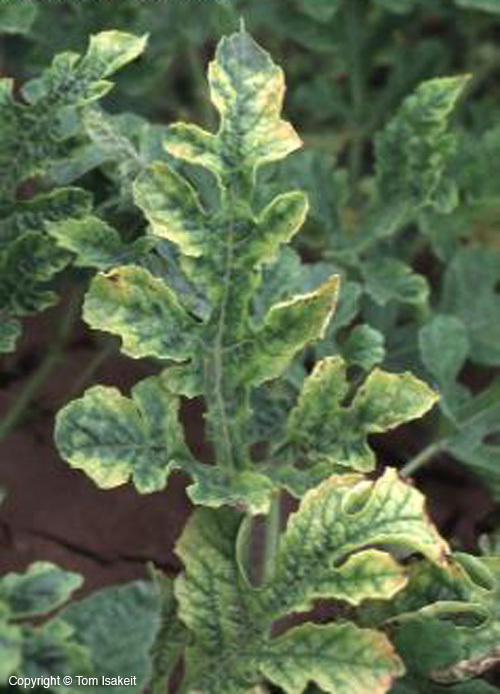 Infections of older plants do not affect yield. 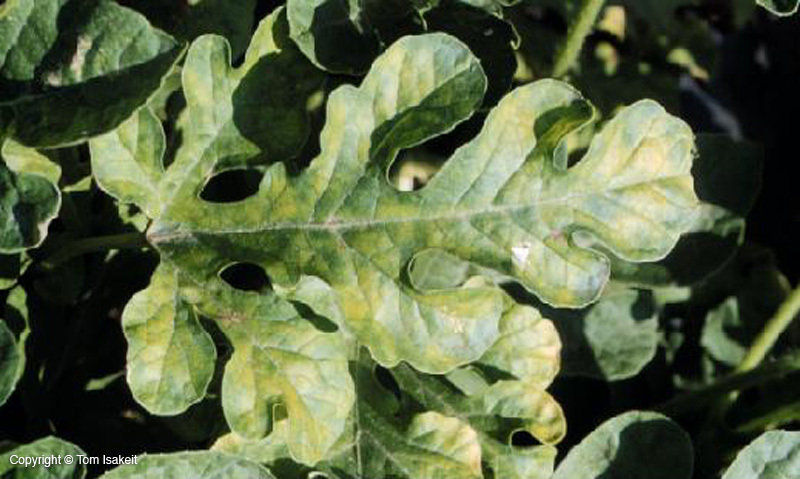 Another whitefly-transmitted virus recently identified in south Texas is the cucurbit yellow stunt disorder virus, which causes a yellowing of leaves (Image 4). 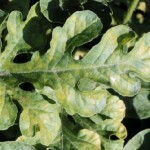 The squash leaf curl virus is economically important only in fall-grown watermelons. To alleviate the impact on yield, transplants should be used, rather than direct-seeded plants. Fields should be plowed under after harvest to minimize carryover of the virus to subsequent crops. The virus can persist in whiteflies for 3 weeks after feeding on infected plants, so there should be a 4 week break between melon crops.